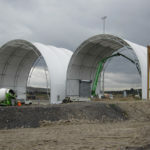 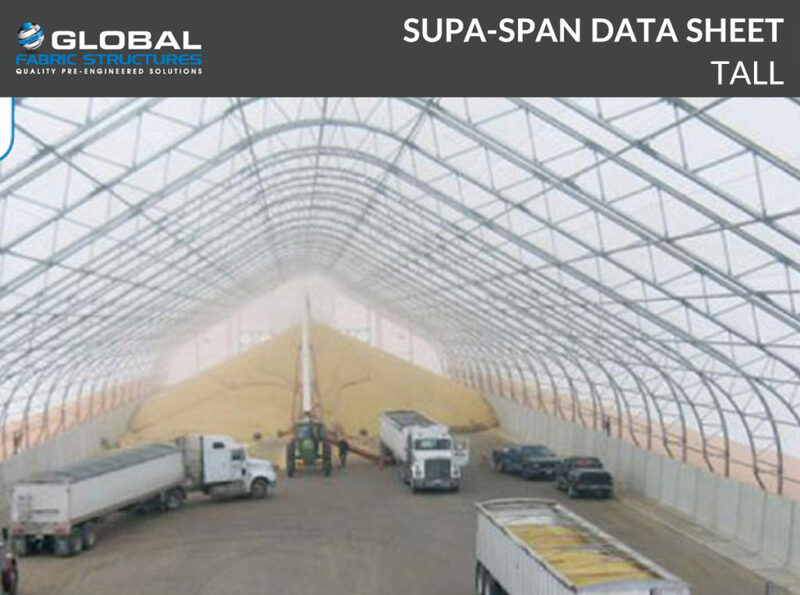 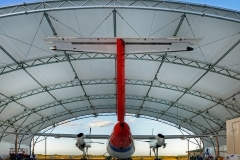 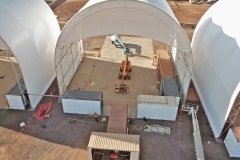 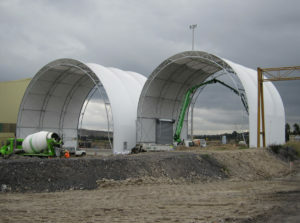 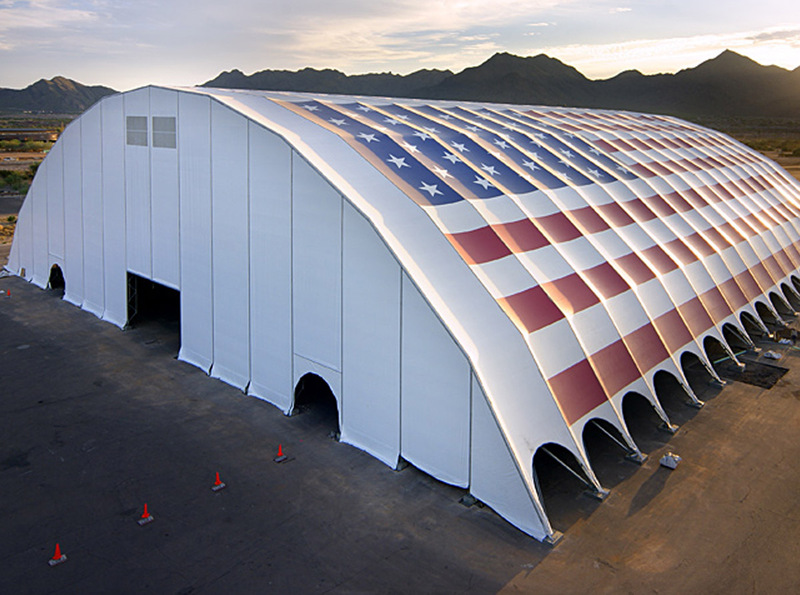 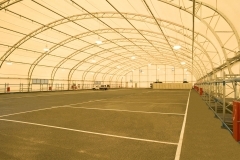 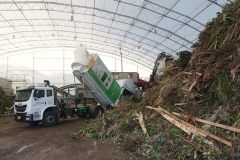 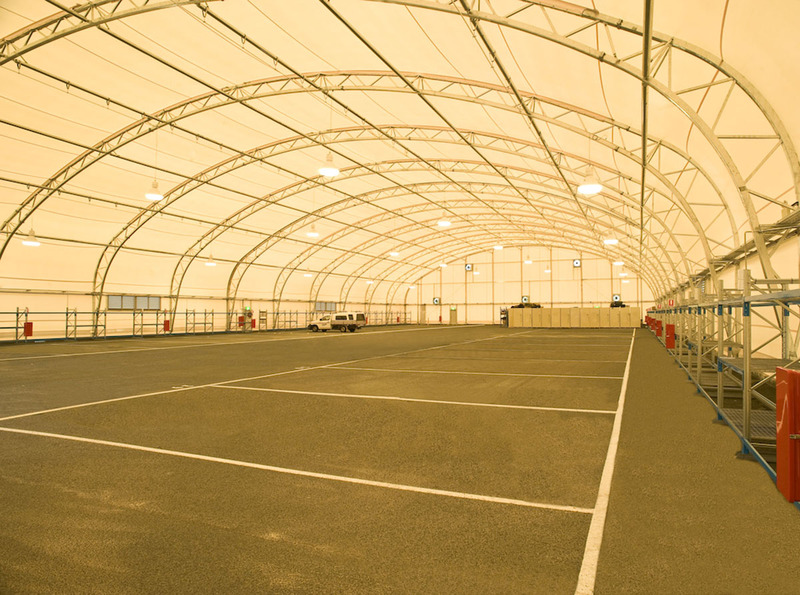 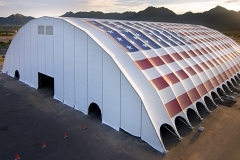 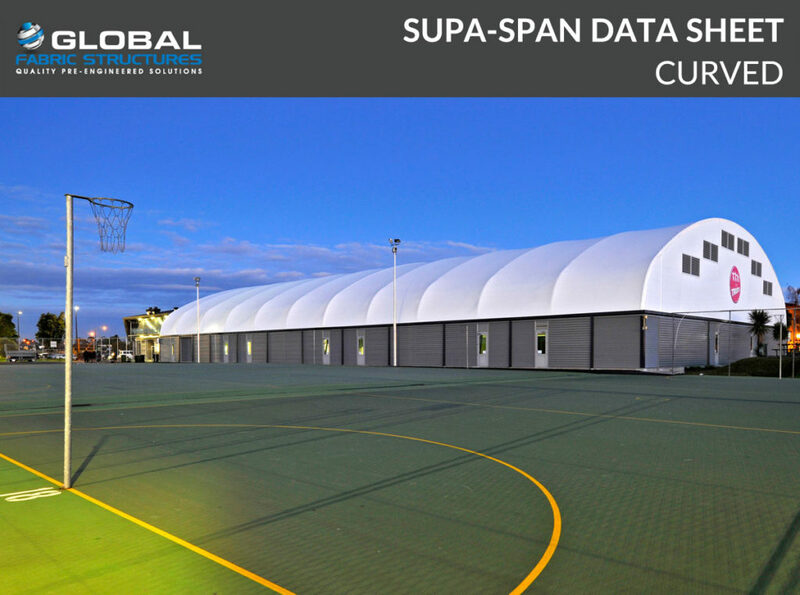 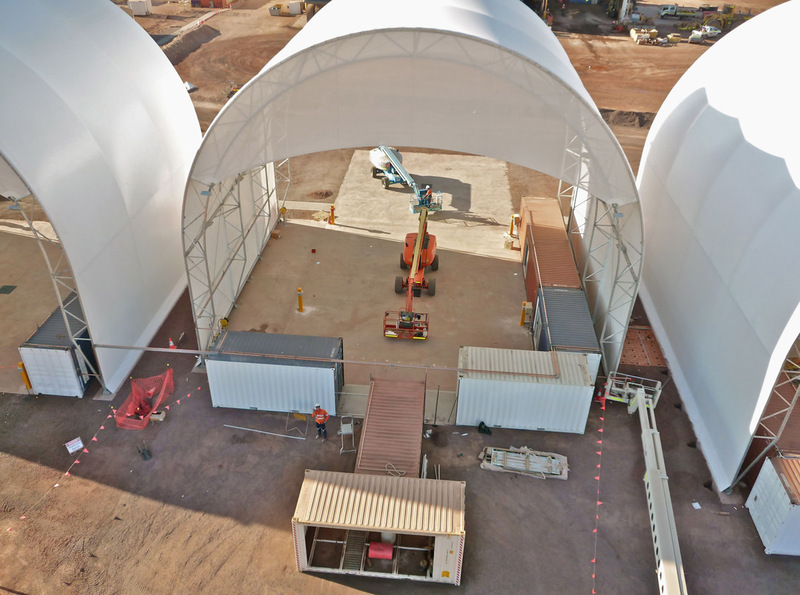 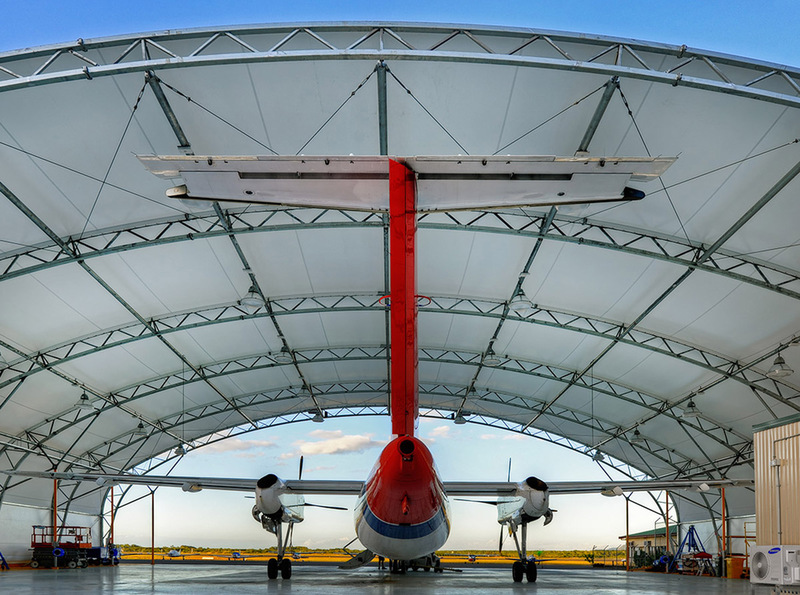 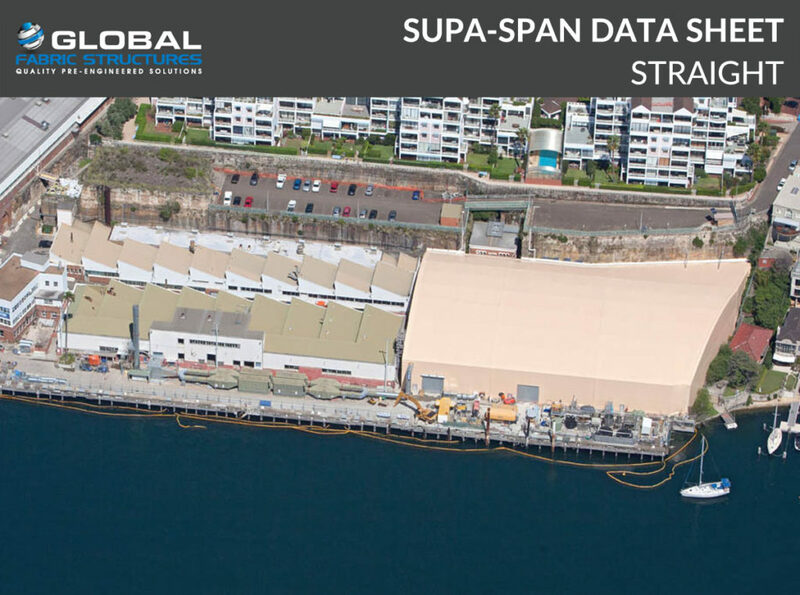 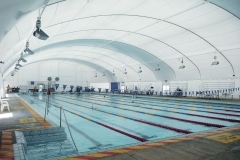 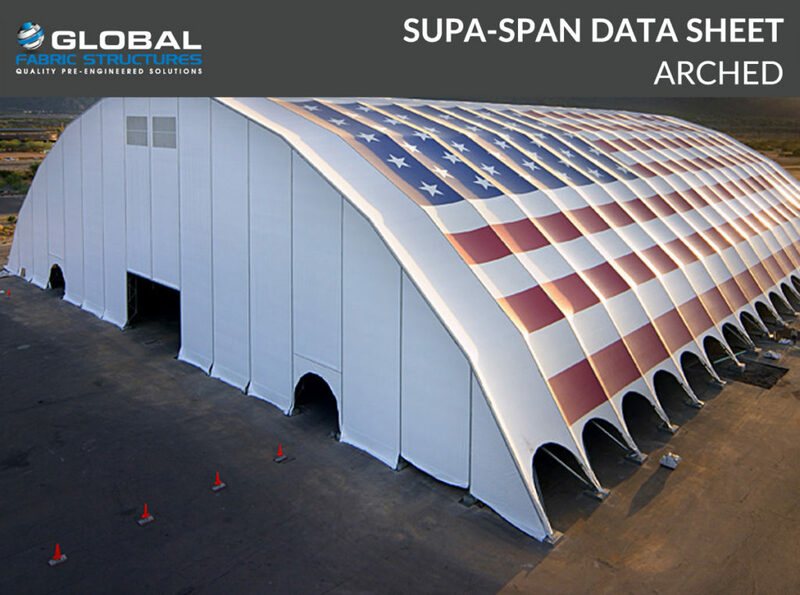 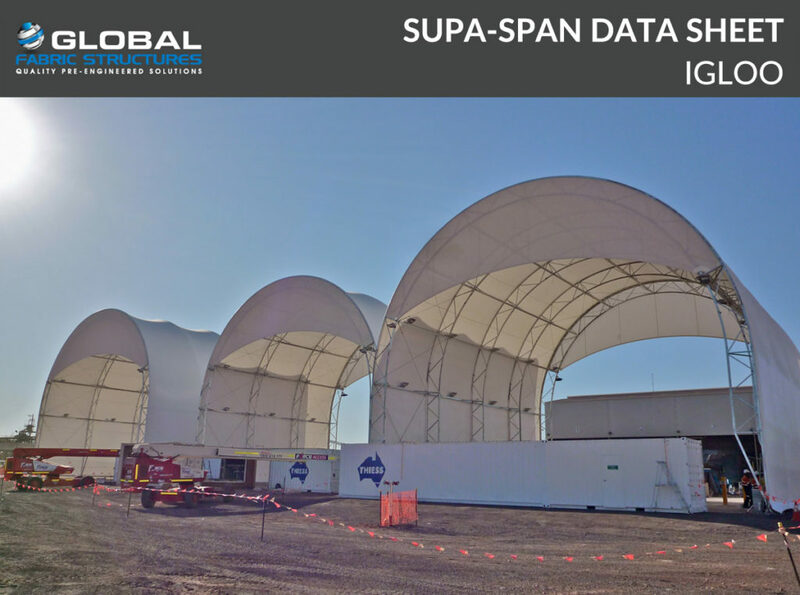 The Supa-Span series fabric structures feature clear span, column-free designs for short-term, interim or permanent installations.The combination of the framing & panel tensioning systems allows speedy installation and relocation. 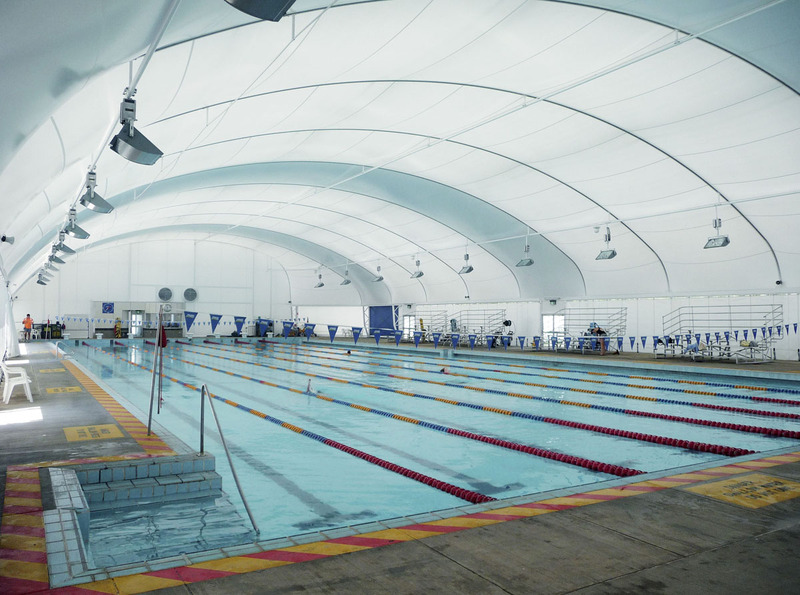 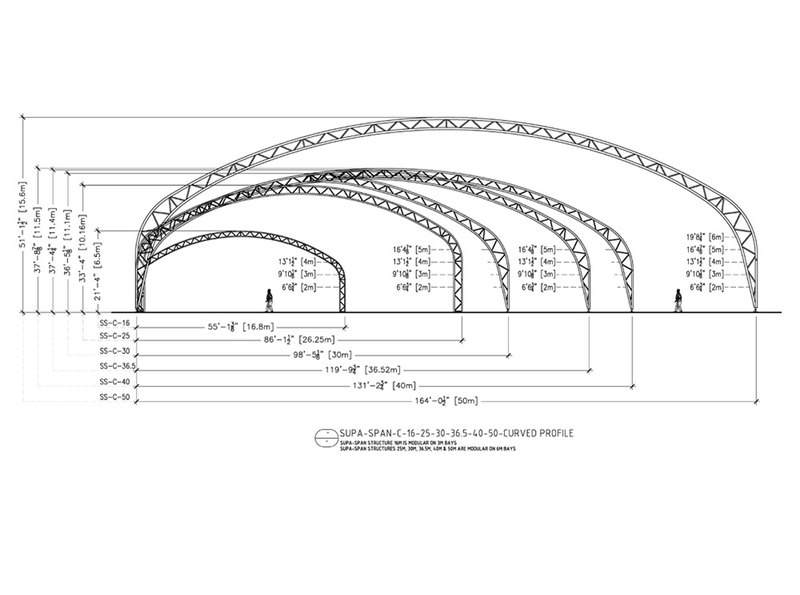 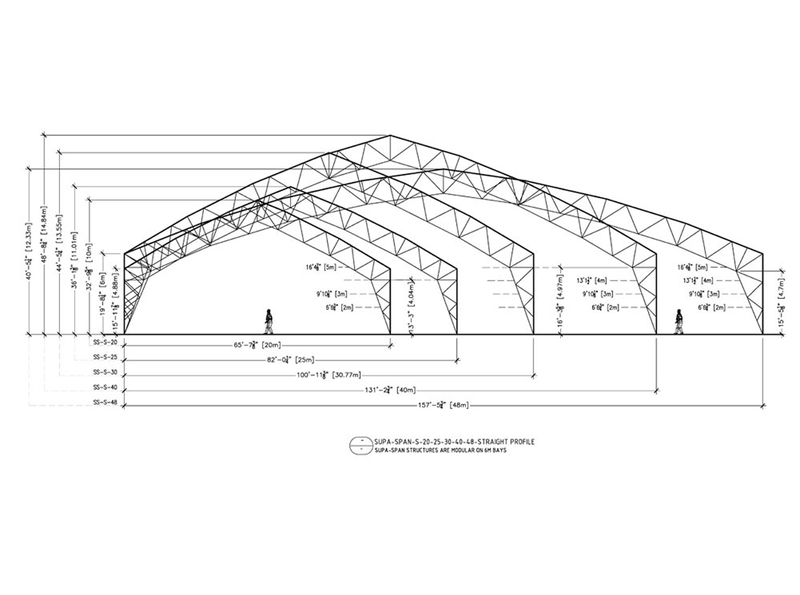 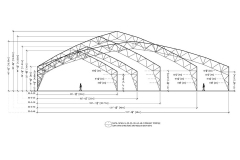 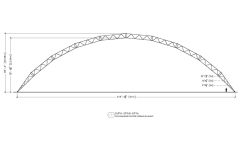 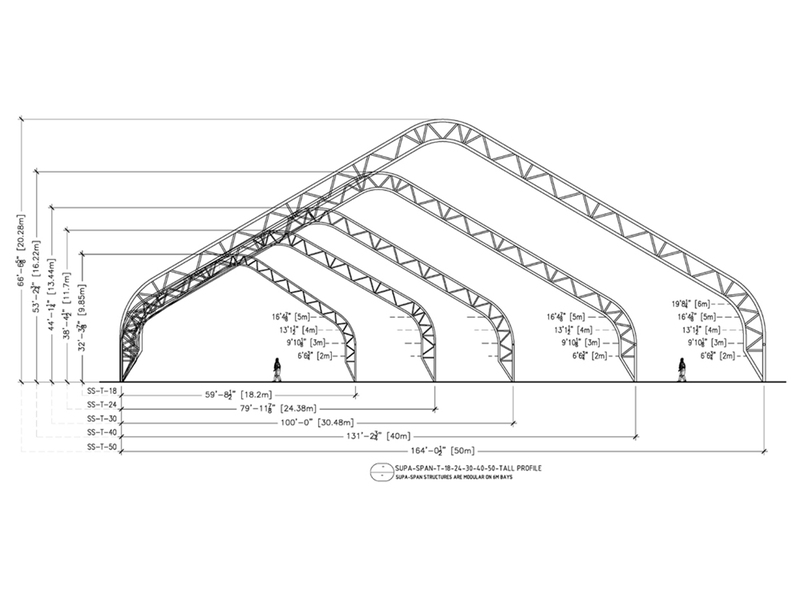 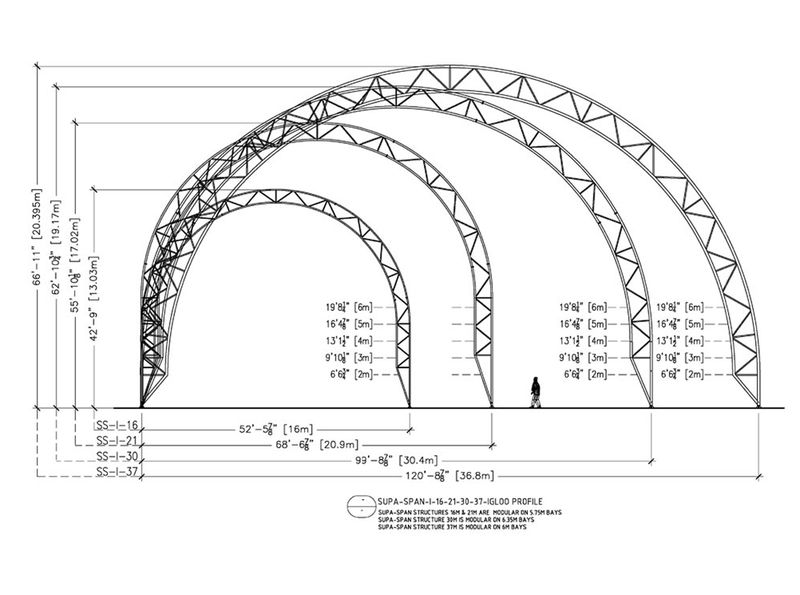 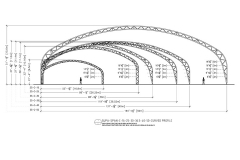 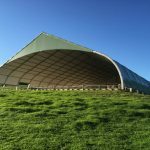 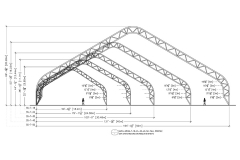 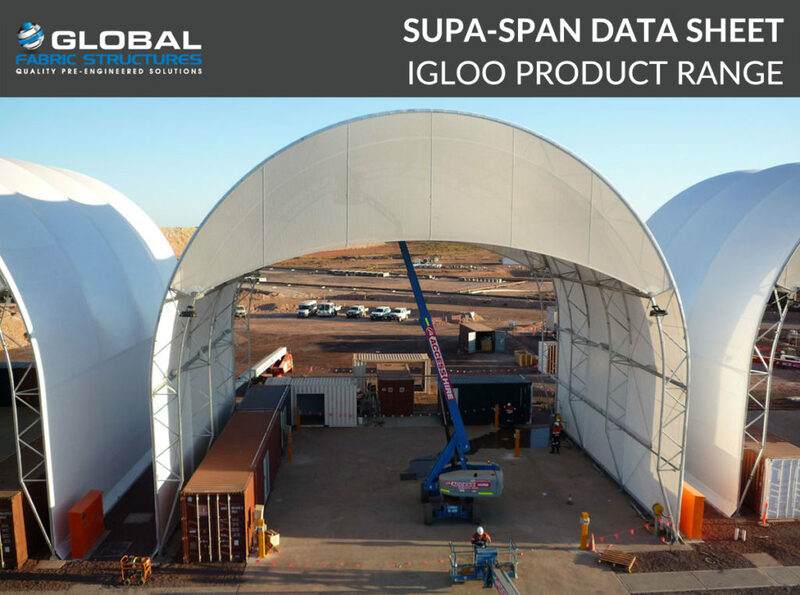 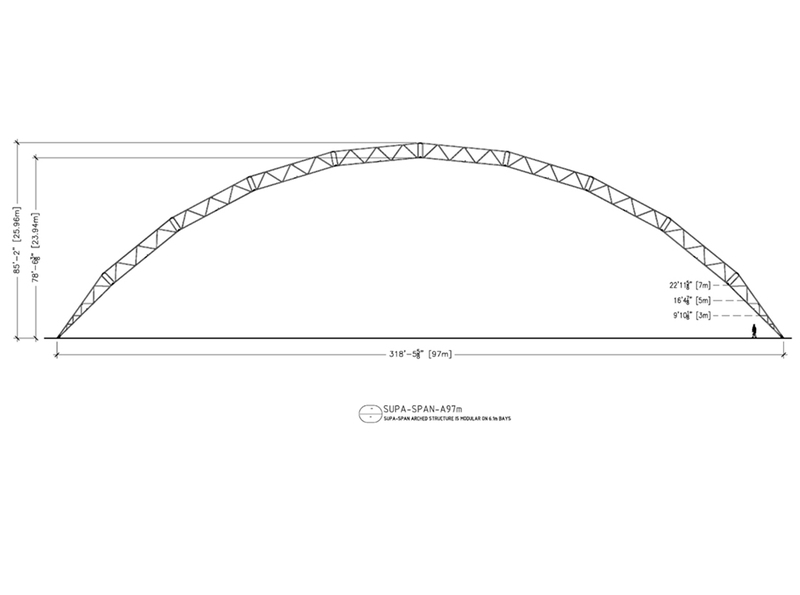 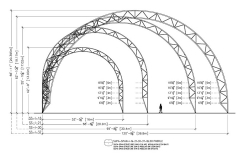 Manufactured using high grade structural steel, Supa-Span designs are fabricated into two chord lace truss systems available in either straight, curved, igloo (below), tall or arched profiles. 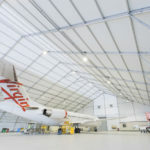 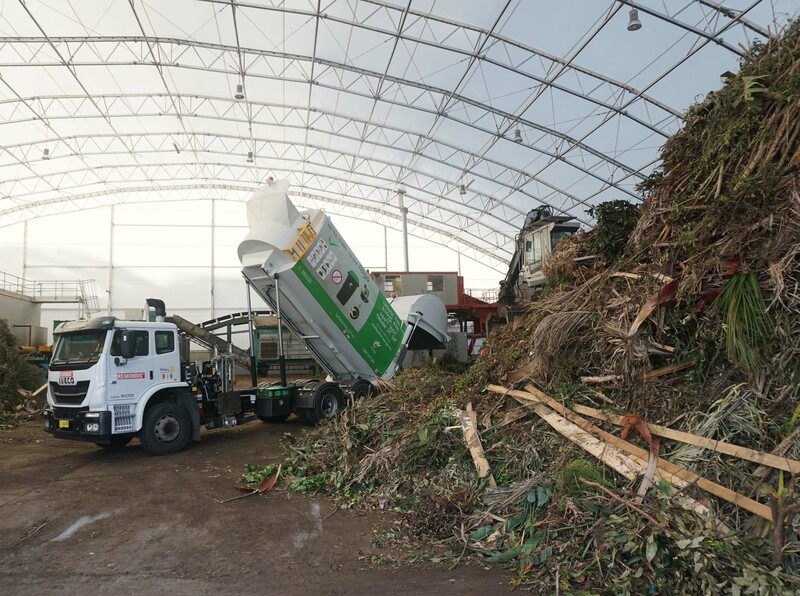 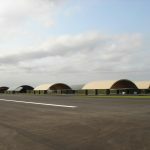 Design options can incorporate higher peak or eave heights, lightweight or hard walling systems, specialised fabric, doors, windows, lighting, air tight environments, conveyor and HVAC systems.